How do we inspire people to take action such as buying a product or service? Everyone wants to know! 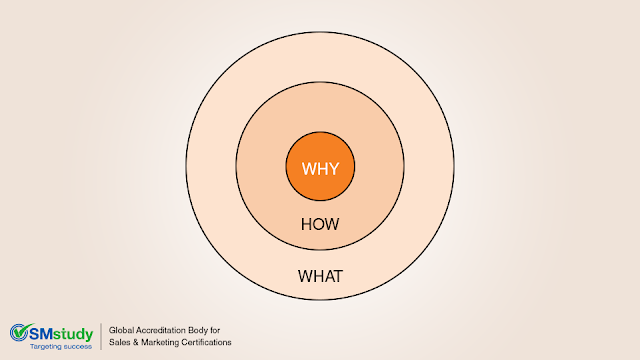 Well, author Simon Sinek says the answer lies in the Why, the centermost part of his Golden Circle. Imagine a bullseye target with three rings (such as the one in the above image); the outer ring is What, the middle How and the center is Why. Simply stated, the What is the product or service you provide. The How is everything that you or your company have done to improve upon or create the What. In other words, all the selling points of the product or service. And finally, the Why. The Why is the place where the purpose or belief behind the company is stated and hopefully inspires a person to action. Ideally, they relate to the company’s core beliefs. 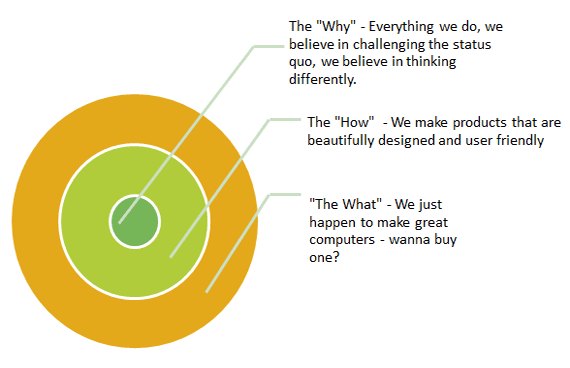 This is the Golden Circle, and according to Sinek it explains all human decision-making behavior. Sinek states that all human decisions, such as “should I buy this product?” occur in the limbic system, the part of the human brain that is directly responsible for feelings of trust and loyalty. Interesting to note, the limbic brain’s reaction to a company’s core beliefs (their Why) is not logical and lacks the capacity for language. From this understanding we gain important insights into what drives a person to make a purchase. It’s not the description of what a company does or how they do it, although those can be beneficial in supporting the decision. The How and the What do not sway a consumer to buy; it is the Why that compels humans to purchase a product or service. 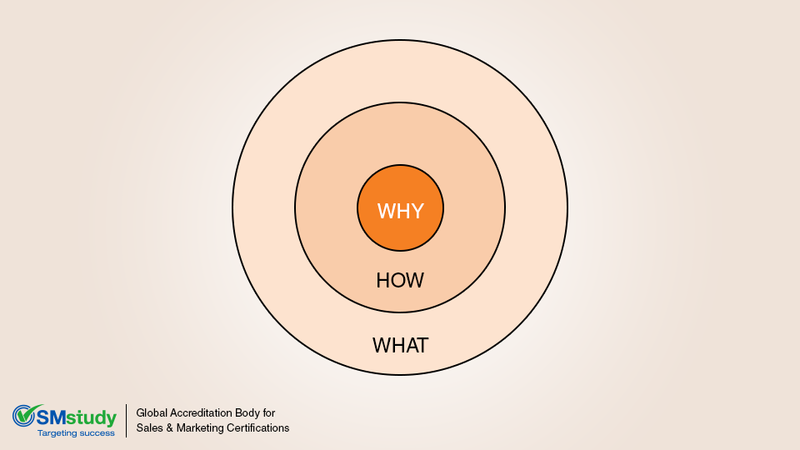 Will an understanding of The Golden Circle affect marketing success? Sinek gives a definitive Yes! As an example Sinek uses is Apple computers. As we can see Apple’s What is great computers. Their HOW is an offering of greater creative freedom, less viruses, user-friendly interface, etc. All the cool things MAC computers can do. Once consumers made the “Why connection” with Apple, the bond has proven nearly unbreakable. So strong is the loyalty, in fact, that people are willing to purchase, not only their computers, but all the other products Apple has released, including iPhones, iPads, etc. Sinek notes that every incredibly successful company (such as Apple) has done so through clearly showing and explaining why they are doing what they do. As he points out, every company in the world can say what they do…and many can tell you how they do it. But very few can clearly tell you why they do it. And that makes all the difference. “People don’t buy What you do, they buy Why you do it.” So, focus on the Why. Find more articles on sales and marketing at smstudy.com.